How a foreclosure impacts my credit score. The thought of losing your home is scary. We understand how unnerving it can feel to have the future look so bleak. Foreclosure is a terrible thing to go through, both for yourself and your family. Don’t get stuck without resources to help you make smart financial decisions in the future. There are ways to rebuild credit after foreclosure. You can also find counseling aid to assist you with your foreclosure, short sale, and bankruptcy questions. Here, learn about the real cost of foreclosure on your credit score and in your life. Here’s how foreclosure affects your credit score. Did you know that when you go through foreclosure that it affects your credit score as well? But a foreclosure will affect your score long before you lose your home. As soon as you start to default or miss mortgage payments, your credit score will start to drop. When you foreclose, your score will plummet and the higher your score, the more it will go down. It will take years before the foreclosure is taken off your credit score records and it may take longer than that to rebuild your credit. How to rebuild credit after foreclosure. The only way to cure your credit after going through a foreclosure is by waiting. It takes seven years for a foreclosure to be entirely erased from your credit report. Rebuilding credit is a long and strenuous process. It will take years of making payments on time, paying off debt, and acting responsibly with your finances. You should still be using credit cards, but only to make payments on regular items like gas and groceries. Then, make sure to pay the amount off in full at the end of every month. Rebuilding credit does not happen overnight, and there are no shortcuts. Don’t be swayed by companies that offer to boost your credit for a fee--they cannot improve your score. But you can, as you put smart financial habits first and bide your time well. Here’s why you should get financial counseling. If you are facing foreclosure or bankruptcy, it would be wise to seek out financial advice. 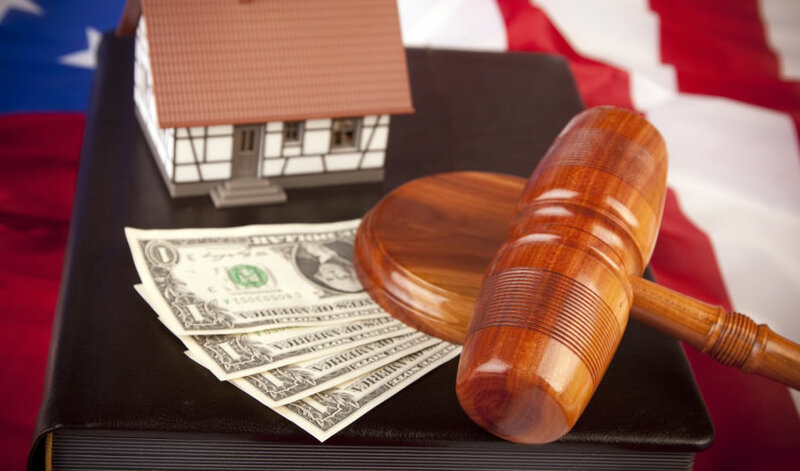 This advice can save you from making mistakes during your foreclosure or bankruptcy process and can teach you how to get back on your feet financially. Financial counseling is one of the best ways to help you avoid making mistakes that will cost you in the future and will help you rebuild your credit. If you need credit repair services, financial counselors know the best ways to start fixing your credit score right away. If you have to default on your mortgage loan and might lose your house, it would be wise to talk to a financial adviser about the best path going forward. Depending on your situation, either a foreclosure or a short sale could be the right option for you. If you are trying to avoid your credit being demolished, a short sale is smart, especially if you talk to your bank about it and get the process started before you’re in pre-foreclosure. If you are in serious debt and can see no way out of the surmounting bills and payments that are due or past, bankruptcy can provide you with temporary relief from your relentless creditors. The incessant phone calls and mail will stop, and you can get a fresh start. You should decide if you are going to file bankruptcy and if so if you will file a Chapter 13 or Chapter 7 bankruptcy. Chapter 13 bankruptcy means you get to keep certain assets (like your house or vehicle), but you have a payment plan for the next 3-5 years and must make payments from your disposable income every month. This form of bankruptcy keeps you in your home, but you must make payments regularly. A Chapter 7 bankruptcy means your assets are removed from you to pay off the debt you have incurred. Though this is the fastest form of bankruptcy, it can also be the hardest on your credit and your life. You will have to start over in rebuilding your life and your credit. If you are wondering if you should declare bankruptcy or are facing foreclosure, financial counseling is one of the best ways to prepare yourself for the future. You can get the knowledge you need to make tough decisions. You can weigh your options and decide which one is the best course of action. Finally, a financial counselor will guide you through this process and will also be there for you when you come out the other side. The counselors at StopForeclosuresHelp.com are eager to help you with your financial needs.